I remember the first time I heard about Lent from a friend. A Baptist classmate of mine at Houston Baptist University had decided that he was going to give up Mountain Dew for Lent. What struck me first was that this was a big sacrifice for Thomas, as he drank Mountain Dew with regularity. What surprised me secondly, was that he was doing something for Lent. I was familiar with the season of Lent that led up to Easter. 40 days (technically 46 if you count the Sundays as well) of fasting that I had always associated with the Roman Catholic church. I knew when Lent started only because I saw Mardis Gras coverage on the news, or saw “King Cakes” in the grocery stores. This was a foreign practice to me. Something strange and different that never appealed to me, or seemed to have nothing to do with the form of Christianity I was raised in. This stayed the same until I attended Truett Seminary and discovered a whole new world of opportunities for worship and Spiritual growth. I learned about the rhythms of people’s lives in the church – birth, life, death, and expectation of Christ, but in hallway conversations and class discussions I also grew attuned to the rhythms of life in the church calendar – which is also oriented around birth, life, death and the expectation of Christ. First of all, I think all Christians would agree that the Church is supposed to live in a way that is counter to culture. We are supposed to do things differently. Christians give of their time, give of their money, and give of their worship (typically on Sunday mornings) in ways that are not normal for the world. Growing up, a Sunday morning rhythm came naturally to me. While others were sleeping in, sleeping it off, or enjoying lazy Sunday morning routines, I went along with my family to our place of worship. But on a yearly calendar, our church congregations and family tended to follow the “Hallmark” calendar more than anything else. We celebrated American Independence, Veteran’s Day, Memorial Day, Thanksgiving, Mother’s Day, sometimes Father’s Day, and the of course the two Church/Hallmark crossover days of Easter and Christmas. This calendar surprised me with unfamiliar worship practices and traditions, and though my first reaction when I was younger, was to think of these days as being too “Roman Catholic”, what I found was that they were more opportunities to engage in a schedule and calendar that was for my faith, and not simply for my culture. They are days in rememberence of the seasons and events in Scripture and specifically in the life of Christ. Not just a day for his resurrection, but a day for many other events in his life. I started to wonder if my calendar might need to start to look a bit more like his calendar. What was at first strange, foreign, and seemed like “empty tradition” soon became valued and appreciated as my understanding grew. I started to see how the rhythm of the church calendar was intentionally out-of-sync with the Hallmark calendar. This reminded me of the ways in which the Christian life is also intentionally out-of-sync with the world. During seminary I led and worshiped with Baptist churches that followed many of these calendar seasons and days. Sometimes informally, sometimes formally, and sometimes not at all. In this time I began to see how this experience of the Christian faith better prepared me for the rhythms of life. I saw the value of not simply going from the triumphant entry on Palm Sunday to the enthusiastic celebration of the resurrection on Easter Sunday. I saw that this Church calendar reflected the Christian life was not one day of triumph and celebration after another, but that the Christian life was as full of dark and sad days of sacrifice and struggle, as well as intense beautiful celebrations. In short, I found that my faith matured and increased in compassion, love, and balance. Intentionally walking in the highs and lows of emotion in connection to these worship opportunities drew me closer to God in ways I had never experienced. My first Ash Wednesday service was surreal. I had never been in a worship service so thoroughly focused on sin and repentance. It was strange because it was new – not because it was “empty” in value or meaning. And when I walked the rest of my day with a cross of ashes on my forehead, there was no mistaking that I was a Christian. No matter who saw me, and no matter how many times I saw myself in a mirror, it was obvious that my faith was not something that could be missed. That it was also something made of ashes (the leftover byproduct of heat and light) and in the shape of a cross (the Roman instrument of torture and execution), also kept me grounded in the life of sacrifice and challenge that often is the Christian life. My heart is full each Ash Wednesday. Full of the weight of the world’s sin, and my own. Full of the awareness of just how far from God we were/are. Full of the awareness of the sacrifice of Christ. And beginning with Ash Wednesday many choose to partake of certain Lenten practices – this time of “giving up” or “taking on”. It is a time of being intentionally “uncomfortable” for the purpose of allowing God to form and shape one’s spirit. Some give up something to eat, or give up a comfortable entertainment, and others might take on a season of volunteering more, reading a particular devotional book, or doing some other Spiritually significant daily practice. Over the years I have tried giving up a few things for Lent, and my wife and I have encouraged our kids to do the same. I have several times given up hot showers, red meat, sodas, candy, etc. Each Lent I seek to discern in what ways I can learn about my faith through being a little more uncomfortable than normal. In setting something down voluntarily so that each time I crave it, miss it, or wish I had it, it is a time to pray and seek God. This is the point of Lent. To have moments throughout the day when, instead of doing our normal thing, we replace it with a God thing. Instead of drinking a Coke, I say a prayer and consider those who lack clean water. In these ways and more we are not simply following “empty traditions” that Baptists and others have long rejected, but rather we are participating in full and spirit-forming worship practices. Ways of worshiping, growing, and praying that we often need. This season of Lent may be an opportunity for you to seek God in a new way. Perhaps you will try to go to an Ash Wednesday service at a local congregation, or in your own congregation. Maybe you will give up a food or entertainment comfort. Or perhaps you might try to take on a particular practice – like daily Scripture reading and devotional practice like you would find in Truett Seminary’s 2017 Lenten Devotional Guide. Whether you feel led into something this year or not, we pray and hope that you will continually be formed by Christ, and continue to learn how to connect to Christ in vibrant and life-giving ways. In the subject of theology, there is often no greater disagreement than over the matters of Calvinism and Arminianism. These two perspectives are often pitted against each other, and their supporters can often be adamantly opposed to the opposite view. With many books being written from both sides. This matter is also compounded by the frequent misunderstanding of Arminianism because of the constant misrepresentation Calvinists have made of Arminianism. What I hope to do is to provide some helpful overviews of both sides, along with some quality further readings that will allow each side to be fairly represented and explored. When studying theology, one of the crucial steps towards healthy understanding is care in selecting sources and materials. And within the subject of theology there is no more difficult task than finding quality materials on the subject of Arminianism and Calvinism. There is a HUGE amount of information online that is not as helpful or as accurate as it could be, and so to help out we have put together 4 pages on the subject to both introduce the subject, and to help you navigate it well. Should this subject interest you, many longer readings have been provided, and should it not interest you at all, we have tried to keep our explanations concise and helpful. To begin with, here are two acronyms to help us understand Calvinism and Arminianism more easily. TULIP is a very widely known acronym, and it sums up what are commonly referred to as the “5 Points of Calvinism”. Each of the 5 points of Calvinism are intertwined and dependent on each other, and one might hear the phrase, “I am a 5-point Calvinist.” Meaning that person believes and holds to all 5 points. On the other hand, some of these points are difficult to come to terms with, so someone else might claim to be a 3-point or 4-point Calvinist, meaning that they only hold to 3 or 4 of the 5 points. Usually someone of this type will disagree with Unconditional Election or Limited Atonement. What these 3 or 4-point “Calvinists” often don’t understand is that 3 or 4-point “Calvinism” is Arminianism. But Arminianism has been so misrepresented that it is often viewed in negative ways. In his previously mentioned book, Roger Olson describes over and over how he encounters Calvinists who claim and argue that Arminianism is the same thing as a heresy called semi-pelagianism. An understanding of salvation which holds that the beginning of faith is the work of humans, and the growing in faith is the work of God. That people will choose to trust in God, and that God will then work in their lives. It goes against the Christian doctrine of Total Depravity (that sin prevents us from even wanting to choose God on our own), because this “beginning of faith” would be considered a “work of righteousness”. Something which everyone is incapable of while still lost in sin. As a result of this severe misrepresentation of Arminianism, it is often misunderstood by most, and harshly condemned, criticized, and put down by its critics (often well known people like John Piper, Matt Chandler, or Mark Driscoll). The first towards a more accurate understanding of Arminianism is a handy acronym like the well known TULIP. For the purposes of convenience the acronym F.A.C.T.S. is quite helpful and easy to remember. One of most helpful experiences I ever experienced was when a theology professor drew out an Arminian understanding of prevenient grace on a whiteboard in class. It was as if a light bulb went off, and it immediately helped me understand everything so much better. In my attempts to help you in similar fashion, I have created the following two illustrations. They are not perfect, but they should hopefully help to illustrate Arminianism and Calvinism. Some additional comparison is offered on the next page. In Arminianism the elect and non-elect are properly known as “conditionally elect” and “conditionally non-elect”. This means that God elects those that he knows will choose him. The moment at the cross is the moment of choice – the moment of “conversion”. In the Calvinist model, the non-elect are more than “lost in sin” they would perhaps more properly be described as the enemies of God. In addition, as the lines demonstrate, the elect have always been destined to salvation, and the non-elect have always been destined to damnation. Now that we have a passing understanding of the Calvinism and Arminianism, let us compare and contrast the two a little further. As you can see below, each of the 5 points correspond with a point on the opposite side. Due to the inter-workings of history, this matchup is intentional. Calvinists believe that humans are so utterly affected by sin, that there is no possible way for a person to respond to God’s offer of salvation – thus God has to select them entirely of God’s own will, and then grace works in them to compel them to conversion. Arminians believe that a humans are so utterly affected by sin that there is no possible way for a person to respond to God’s offer of salvation except that God extends prevenient grace to restore our ability to accept or reject God’s offer of salvation. Calvinists believe that God elects (chooses) everyone’s eternal destination (predestination) unconditionally (without free choice), while Arminians believe that God only elects those whom he knows will freely accept the gift of salvation (foreknowledge of our free choice). Calvinists believe that Jesus’s death is only effective for those whom God has already chosen (the elect), but Arminians believe that Jesus’ death is effective for everyone. Calvinists believe that God’s offer of grace cannot be resisted – this is tied to the belief of Unconditional Election, andLimited Atonement -essentially God offers grace to specific people, and it is always accepted, because it cannot be rejected. Calvinists believe that because God does the choosing, it is impossible for a true Christian to lose salvation. This is because the individual’s actions have nothing to do with their eternal destination. 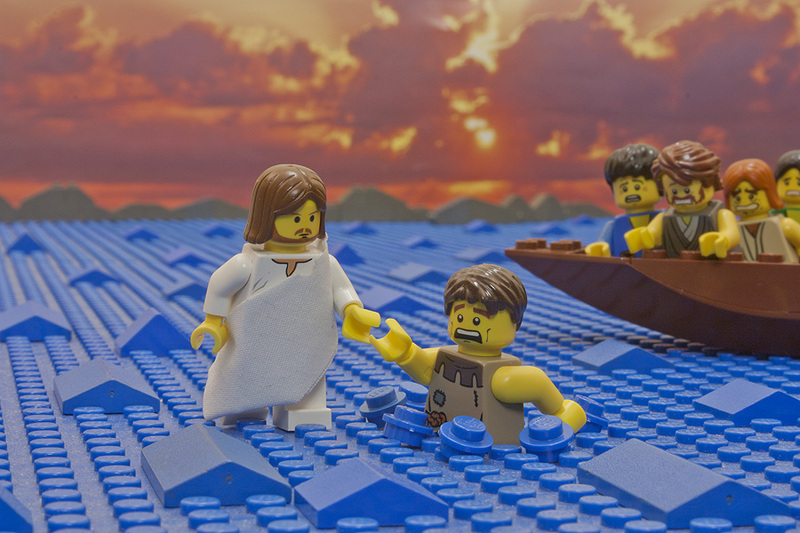 Arminians believe that a person’s salvation is secure as long as that person believes and trusts in Christ, but that it might be possible for someone to recant their salvation. Though many would argue that these recanters were not true Christians to begin with (on this last point, many Calvinists and Arminians might be in agreement). In the Introduction of Practicing Christian Doctrine, Beth Felker Jones introduces the subject of “Evangelical Theology”. Roger Olson, one of the preeminent theologians on faculty at Truett Seminary has written extensively about the messy and imprecise nature of the term “Evangelical”. He has often described how the term has gotten to the point where it means everything and nothing. The author of your text does a good job of summing up the term on page 7, but in the representative context of of Baptist life (Truett Seminary is a Baptist seminary after all), what does Evangelical mean? This is not meant to be a precise illustration, but a rough guide (for one, the scale does not represent numbers, as Southern Baptists heavily outweigh all other Baptists in the US). First of all, you can see that even within the Baptist faith, there is a wide variety of diversity. This diversity extends well beyond the very limited representation shown. The limited graph does not show various subgroups in the broad Baptist denomination: Anabaptists, Missionary Baptists, Primitive Baptist, a wide variety of other Baptist congregations and groups of differing racial and ethnic backgrounds, as well as a large variety of other international, state, and regional Baptist groups. More so, it also does not show the bigger picture on where most Baptists fit into the greater spectrum of the church – it does not show how Methodists, Lutherans, Catholics, or other Christian denominations have a similar broad spectrum of beliefs within their respective groups. Interestingly enough there is also an area (not depicted) on the left side of the spectrum that is sometimes referred to as the “fundamentalism of the left” – similarly to the Fundamentalism on the right hand side, amongst other things they insist that proper belief and adherence to specific views are essential for Christian participation. One thing to understand is that this type of spectrum is often relative. We like to think of ourselves in relative terms to other people or groups, but in doing so we often magnify the differences in our beliefs to the point of emphasizing our distance, rather than or similarity. When in reality all of these Baptists groups, and even more so all Christians in general agree on most of the essentials of the Christian faith. Here the illustration is far more obvious. The amount these four groups share is quite large. There are only a few minor differences on certain beliefs. Incidentally if you enjoyed the above graphs, the following one might be quite interesting. It uses data from the Pew Religious Landscape Survey to chart the political ideologies of churches and religions in North America. You’ve perhaps heard the jokes that compare seminary to cemetery, but that has not at all been my experience. I confess that there were many unanswered questions that I had about the Christian faith before seminary. Questions about scripture, questions about missions, about God, and even questions about what a pastor is supposed to be. So many of these questions have been answered that my mind reels thinking of it. The end result is that not my spiritual foundation is shaken, but that the foundations of my faith have been dug down deeper than they ever were. This is a wonderful praise to God, and the work that God has been doing in my life for the last several years. What I have gained, in addition to wonderful growth and understanding of my personal faith, has been an expanding of horizons when it comes to the practice of the Christian faith. 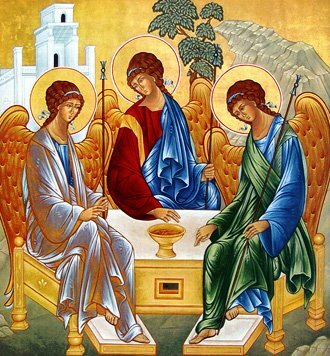 In the past few years I have had the blessed privilege to worship and interact with conservative Baptists, moderate Baptists (there is a difference), Methodists (both traditional and liturgical), Catholic monks, charismatics, Mennonites, Anabaptists, and non/other denominational Christians of all types. All have something wonderful to offer the Christian faith as a whole. All have taught me something about the different threads of worship and tradition that weave together the tapestry of our Faith. 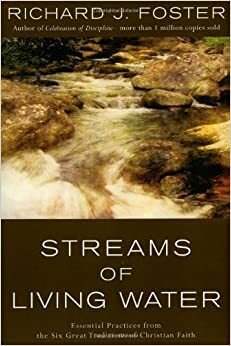 Richard Foster uses the analogy of streams of living water, from his book of the same name. He describes each stream of tradition as part of the same faith that flows together from Christ. Each stream has the same source, but takes a different course. It has been a great joy to worship in so many different ways, for there is very little in common with the form of worship of remote Catholic monks, and the huge charismatic church in Central Texas. However, the God being worshiped is the same. The Lord of each body of believers is the same. There are countless differences in the ways that all of us worship and understand God. But we agree on so many things. For the most part, regardless of the stream of Christianity, we all agree on the basic tenants of our faith. It’s easy to get caught up in all of the differences in theology, church practice and organization (many of these differences are quite significant), but at the end of the day, all of us sleep with an anticipation of the same sunrise, and a celebration of the some risen Son: Jesus. The bonds of the Christian faith are deep bonds. They go beyond the church we attend, the denomination we are a part of, or any other superficial matters. In Paul’s letter to the Galatians he dwelt on this matter of equality in the most revolutionary way. To a world that was rife with classism and filled with all manner of dividing lines over wealth, race, occupation, religion, and even gender, Paul wrote a wonderful few sentences that bring to the forefront the equality that is Christianity. For with the radical salvation offered by Jesus to all believers, we are all included in the same family as equals. The Gospel breaks down barriers, it does not create them. This is what Jesus showed us time and time again in his life on earth, and what Paul wanted us to recognize. ALL of God’s children are equal and in need of the same salvation, and all of Christ’s followers will receive the same inheritance – that of God’s only Son. We are united now and for eternity. In the Kingdom of God there are no elites or rejects. God has given the gift of life to everyone who gives Him their lives. Whatever barriers that exist within the body of the Church, in the worldwide sense, are there because of us. The walls between denominations, between congregations, races, genders, countries, or anything else – they are there because we have trouble living up to the true nature of the Kingdom of God. So let us focus on the bonds that tie us together instead of looking for reasons to be apart. 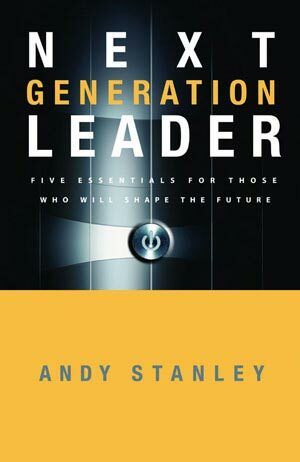 As the author of Next Generation Leader, Andy Stanley is writing not for pastors specifically, but for leaders in general. However, as the senior pastor of the North Point Ministries campuses with over 20,000 people attending weekly, Stanley is primarily experienced in the leadership of church. In addition, as the son of Rev. Charles Stanley, Senior Pastor of First Baptist Church in Atlanta, Georgia, and founder and president of In Touch Ministries, Andy Stanley is in a very unique position to not only have grown up watching his father lead churches and ministries, but also to have experience himself as a leader of the same. That being said, though this book is not intended for pastors, it is highly beneficial for them. Much of the subject matter and reflections come from someone with a pastor and spiritual leader’s heart. This makes the leadership suggestions and techniques not only beneficial for those in a secular context trying to be godly and effective leaders, but doubly so for those in ministry leadership roles. I have not served in a non-ministry related leadership role in many years, but it seems that there are many helpful leadership skills and techniques that would probably crossover just fine from church to business. However, the goal of this book being included in my mentoring reading was not for the benefits of secular leadership, but of generic leadership skills that would be appropriate in a pastoral context. For that reason, this book fits perfectly. Stanley writes with heart that is concerned for the cohesiveness of work environment, the growth and development of his staff, and his success as a pastor and leader. His writing is clearly born out of pastoral reflection as well as good “leadership” skills in general. Stanley has made a very easily remembered cluster of five leadership concepts that serve as the outline for his book. These are the concentrated and core set of leadership essentials according to Stanley: Competence, Courage, Clarity, Coaching, and Character. They are presented in the context of God’s gifts of leadership, but these five areas are the jumping off places for his consideration of what it means to be a successful leader. Stanley’s quantifiable measurement of leadership success is succession. This measure of success seems to crossover just fine between secular and sacred, because in the business world it’s a crucial task of long-term focus for leaders to have followers that are being formed into the future leaders. In a church this is even more essential, the very foundation and task of the church is to form followers of Christ, and the long-term effectiveness of a specific congregation is dependent on the formation of future leaders. So for the remainder of my reflection I will be considering the book purely from a church oriented perspective, with each of the leadership foci being considered purely in regards to a pastor. The first essential of leadership, according to Stanley, is Competence. This is many things, but he boils it down it down to three key areas: not doing too much, doing the right things, and finding a groove. Doing too much seems to be consistent temptation and trap for pastors to fall into, it has two primary drawbacks according to Stanley. The first drawback is that doing too much leads to a pastor accomplishing less. This is the time old tale of being spread too thin to be very effective, and as it plays out, the pastor spends a lot of time on the things that she is not naturally gifted in, because the the ways in which she is gifted come naturally. This is backwards, Stanley argues, the things that the pastor is not skilled in should be delegated, so that the areas that the pastor is skilled in can receive the primary focus. Very helpful advice, particularly as there are certain things (preaching being a big assumed example) that the pastor is particularly gifted and expected to do, while other tasks might be more inline with the gifts of others. He desires to see the pastor do only the things that only the pastor can do, the other things can be done by others. This allows the pastor to be much more focused and thus more effective. This focus on not doing too much then becomes intrinsically tied to doing the right things. The second drawback is simply the inverse of the first, if the pastor is doing too much, that means that others with gifts do not get to exercise them because the pastor is doing everything. The result of a pastor backing away from certain areas, allows other gifted people to step into those areas. In the area of Courage, Stanley desires for the pastor to be the first one moving in a specific direction – to lead from the front. This is the area where courage is necessary to be first in, to not simply see the opportunity, but to seize the opportunity. It does not necessitate being without fear, but merely to be strong and courageous despite the fear. This is the type of courage displayed by the young David in standing up to the huge enemy of Israel. Stanley writes that the act of killing Goliath is not what made David a leader, but it identified him as a leader. This is how the story played out in scripture, and in similar fashion a pastor needs to identify opportunities and seize them boldly, even, as he points out, when the how is not eminently clear. This courage includes three specific expressions according to Stanley, the courage to say no, to face current reality, and to dream. Saying no is an essential role of a leader, and a pastor. This could be no on the personal level, but also no on the church-wide level, saying no can open time and opportunity to say yes in other areas. Courage to face the current reality is what it takes to avoid denial and turning a blind eye to situations that need to be dealt with. Often in a church this means that the pastor needs to be the first one to recognize that the way things are currently being done is not best or right, and then to do something about it. Lastly, the courage to dream is what separates a leader from a great leader, and the same would hold true for a pastor. Dreaming small dreams does not inspire anyone – Martin Luther King, Jr. did not dream of people merely tolerating each other, but of people of all races being one. That was a bold dream, and it is this type of courage in dreaming that a pastor needs to have. The third area Stanley focuses on is the Clarity a pastor needs to have in the face of uncertainty. It is the uncertainty in life that creates a need for a leader, without uncertainty leaders are not needed. This seems to be related most of all to the courage of the dream, or rather to be more specific the vision of the pastor. If the vision is fuzzy and unclear, the leadership will be fuzzy and unclear – it is the clarity of focus that a leader must have that will provide others with confidence and trust in her or his leadership. In order to do this, it is necessary for a pastor to understand the ways in which he might be uncomfortable with uncertainty, because just because the leader needs to have clarity, it does not remove the uncertainty. This uncertainty can even be held in the open rather than hidden, because as Stanley puts it, “Uncertainty exposes a lack of knowledge. Pretending exposes a lack of character.” This uncertainty might simply be expressed with the greatest response in the pastor’s tool box, “I don’t know…” With the right clarity, a pastor can inspire with a vision, and help calm an anxious system rather than stir it up. Stanley argues that Coaching is another of the essential foci of a great leader or pastor. It’s the coach who helps spur others onward to do their best, and to provide leadership in training and in execution. A good coach prepares ahead of time, and executes with confidence and capability. But contrary to my expectation, in this section Stanley is arguing for a pastor to receive coaching. This struck me by surprise, because I am primarily familiar with coaching from the pastor’s perspective in coaching others. Stanley, however, wants leaders/pastors to recognize that our greatness is best unlocked through the influence of a coach. Someone in a position to asses the present, so that a pastor can operate more effectively in the future. This coach is best suited for someone who is on the scene watching in order to give the best feedback. A proper coach for a pastor would need to be someone in the congregation to give feedback and experienced critique. It is then up to the pastor to actually listen to the coach and submit to the outside voice of authority and experience, rather than stubbornly continue along the current trajectory. A good coach will observe, instruct, and inspire – an interesting counterpoint to the pastor who is often seen as the one doing these tasks. It is the last focus of Character which seems to be the most logical one for a pastor. It is depressing to think that a pastor could actually serve as pastor without a Godly character, but unfortunately any naivety that may have existed in previous years has been dispelled by conversations with staff members who have served underneath pastors without character. The stories of being mistreated and abused in church service are all too common unfortunately. That being said, though this section seemed to have the least to offer in new information for the vocation of pastor, it does not diminish its importance for a pastor. I was not certain of what I was going to be reading when I selected this book for my mentoring schedule, but I was impressed by the book. I have been inspired in many ways, and informed in others. Though it is hardly an imposing book, and I doubt it has won any awards or spent anytime on a best-seller list, it is nevertheless one that I was blessed by. Andy Stanley speaks from experience and a position of authority on the subject of leadership. And though it was not directed towards pastors I feel that having this book as a reference and a continued part of my ministry will help me to be a better pastor. I would recommend this book to others going into pastoral ministry, and would even recommend it to others in secular leadership. It is also highly intriguing to think about the opportunities that this book might present in a church class on leadership for business or local leaders. I found little I disagreed with or objected to, some of the leadership example from scripture seem forced in some ways, but not in a heavy handed way. The spiritual side of prayer and other practices could be better emphasized, but this is probably more due to it being directed towards leaders in general than pastors, but all the same I hope to have a pastoral ministry full of Competence, Courage, Clarity, Coaching, and Character. I would give this book an 8 out of 10 for pastors, and a 9 out of 10 for others.